The Supreme Court bench headed by Chief Justice of India Ranjan Gogoi orally remarked today that Bahujan Samajwadi Party (BSP) Supremo Mayawati should reimburse the public money she had spent for installing statues of herself and the party symbol 'elephant' at public places. "Madam Mayawati, reimburse to the exchequer the public money you spent on the elephants.We are of tentative view that you (Mayawati) should pay the public money from your pocket," CJI strongly observed and asked senior advocate Rakesh Khanna, counsel for Mayawati, to convey to her the Court's view. The bench, also comprising Justice Deepak Gupta and Justice Sanjiv Khanna, posted the 10 year-old plea for final hearing on April 2. It declined the request of Senior advocate Satish Mishra , close aide of Mayawati, to fix the matter for hearing sometime in May. The court was hearing a PIL filed by advocate Ravi Kant alleging misuse of crores of rupees of public money for installing statues at public places, including a park in Noida. 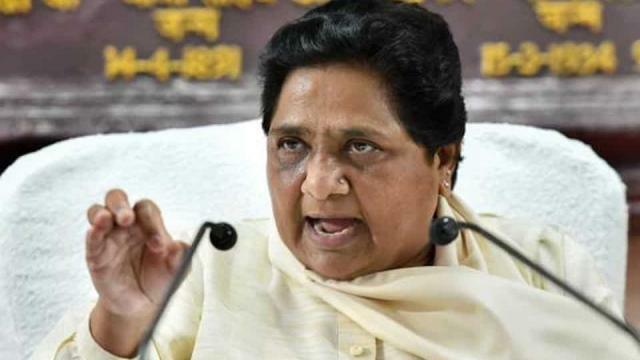 The PIL, which was filed in 2009, sought to restrain Mayawati from installing statues at public places at the cost of the state exchequer and demanded a CBI probe into the issue. The plea alleged hundreds of crores of public money was spent to "falsely glorify" the Chief Minister. The activity is being carried out as a state policy, which is arbitrary and violative of Article 14 of the Constitution, stated the plea, adding that statues of elephant, party symbol of BSP, were installed at a cost of Rs 52.20 crore at public places by utilizing state funds.The petition also sought direction that state government should be directed to remove the statues of Mayawati and her party symbol from public land.